Mervym was the manager of the swimming pool, and had a lot to do with the life saving community. Mervym had a love for the sea and rowed for the friendship. He used to love the sea and often drove down the pier to see if the conditions were good enough for his fishing boat. 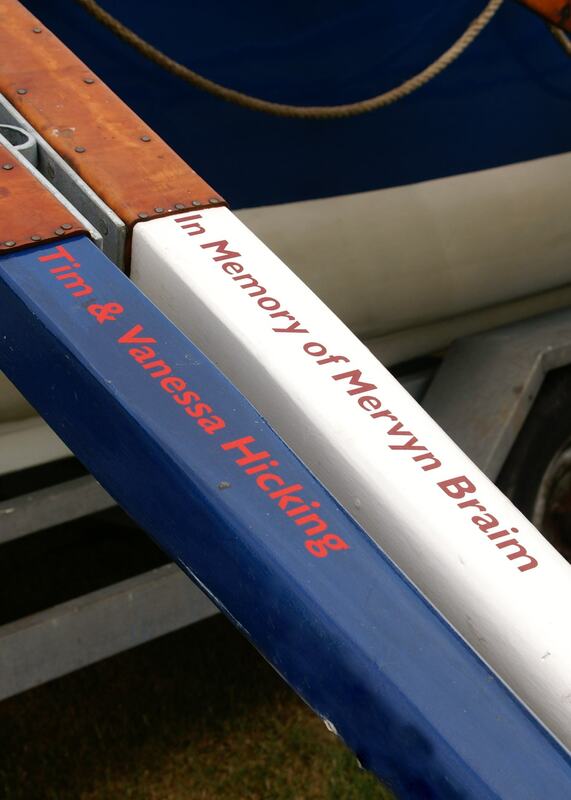 As an ardent charity supporter, sponsoring an oar seemed the best tribute they could make. Tim Hicking is by no means a stranger to the William Riley, he was one of the founding trustees of the Whitby Historic Lifeboat Trust. Although no longer a trustee Tim has remained a strong supporter of the William Riley and is pretty much always the first be seen whenever the boat is out on its fundraising adventures. Like me Tim was one of the first to respond to the sponsor an oar scheme.